Actually, that should be guess who never really went away. After 16 months of pandemic activity during 2009-10 rates of infection declined, vaccines were made available and the story received fewer and fewer column inches. Influenza though, hasn’t gone away. Occasional peaks in influenza activity have been observed since then, however anyone with a Google Alert for ‘pandemic flu’ would have noticed, as I did, a relative inundation today; with reports out of China of a strain of flu previously undetected in humans. The H7N9 strain appears to have been initially identified in eastern Jiangning District of China, and the reports that I’ve read so far (news wires or machine translated Chinese pages – full list below) seem to indicate a small number of cases with no epidemiological connection, which could indicate that the virus has already started to spread. Many of the initial stories were based on anonymous sources or messages on social media sites (which make validation tricky), however as ‘more official’ sources come forward the story is gaining traction. That said, the current message from the WHO is of no evidence of human-to-human transmission, so there certainly no need for any alarm at this stage. From my experience, with what started of as “Mexican Flu” and later became “Swine Flu” in 2009, flu is a very tricky virus for global surveillance teams to track, and there are often outbreaks which look significant yet disappear almost as quickly as they arrived. It’s perhaps too soon to say whether this new starin represents a risk, however it does serve as a reminder that the potential for a flu pandemic is real, and although out of the headlines, hasn’t subsided. A lot of these outbreaks come to nothing, and this latest example could turn out to be just another ‘footnotes in the varied history of bird flu’ (to borrow a phrase from Micheal over at A Flu Diary). However, I follow all of these stories, as speed of identification and reaction to outbreaks puts organisations on the leading edge and better able to initiate plans and take preventative actions. If nothing else, this has given me an idea for another blog post about tools and processes for situational awareness…keep your eyes peeled for that one! Bloomberg. 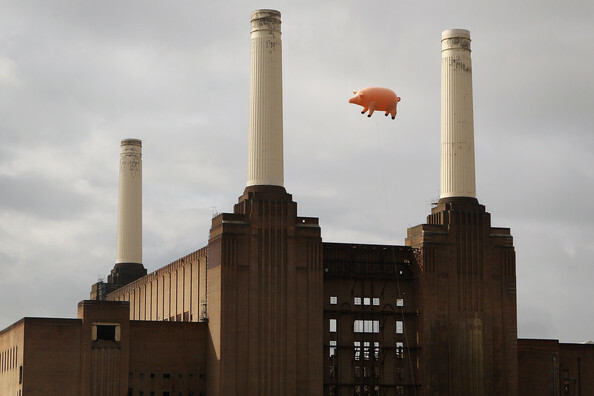 Are floating pigs behind China’s avian flu?